When Nintendo announced that the third generation of Pokémon games would finally be getting re-made for the Nintendo 3DS, many fans could barely contain their excitement; yet after the truly excellent Pokémon X & Y, what could Game Freak do — besides feed nostalgia — to possibly improve upon it? It seems the Poké-dev still has a few tricks left up its sleeve, even after all these years. 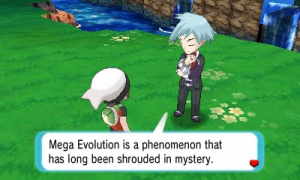 Pokémon Omega Ruby and Alpha Sapphire follow the plot of the originals religiously — with only a few minor adjustments here and there to better fit the modern Hoenn — but due to the 3D models as well as the other more impressive visual capabilities, the story feels infinitely more alive than it did before. The gravity of the situation is all the more apparent for the 3DS’ beefier system, and the animation of the characters really helps to give them more of a personality rather than the slightly forgettable 2D sprites of yesteryear. Depending on which version you play, the plot follows the nefarious deeds of either Team Aqua (Alpha Sapphire) or Team Magma (Omega Ruby) as they attempt to bring about a new world that is more hospitable for Pokémon. Both teams have been redesigned to make them much more distinctive, especially when considering their slightly uninspired designs in the originals. Speaking of design, those who loved dressing up in different outfits in X & Y may be disappointed, as there are no options for customising yourself in these titles. It seems like a bit of a step backwards, and that’s not the only strange thing that’s a bit archaic for the series; the Pokémon Centres and Poké Marts are separate once again, despite them being combined into a single, convenient building in the previous 3DS outing. This decision was probably made in order to try and keep the layout of the towns consistent with the originals, but it still feels like an odd move. A lot of the features from X & Y have been carried straight over to this new entry; there’s no hiding this fact, either, as the features that have been copied have been done so without any real adjustments. The Player Search System, Pokémon Amie, and Super Training have all been copied and pasted into this entry, so anyone worried about not being able to shove Poképuffs into their beloved Treecko’s mouth can rest easy — we outline these features in our Pokémon X & Y review. 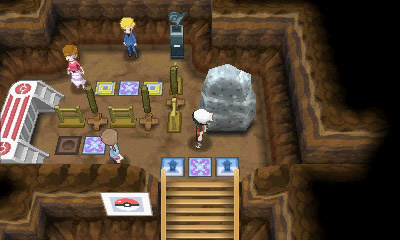 Many if not all of the Mega Stones that were present in X & Y can also be found in these new titles, but don’t expect to have to wait until after you’ve beaten the Elite Four to find them, as many of them are scattered around Hoenn from the get-go, marked by conspicuous sparkles on the ground. 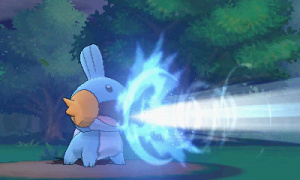 Most of the stones required for the new Mega Evolutions will only become accessible as you delve deeper into Hoenn, making use of all the water-based HMs (moves that have a significant effect outside of battle) that these games offer. Hoenn itself has received a number of enhancements; some of them are minor, like the placement of trainers and items, but some of them are outright enormous. Mauville City’s Gym Leader Wattson spoke in the original about completely overhauling his city, and in these remakes you can tell he’s clearly been busy fulfilling this dream; Mauville is now entirely one building, with everything being held under a single roof. This is also where you’ll find a lot of elements that have been introduced since Ruby & Sapphire were released, such as the move tutors who specialise in special moves for starter Pokémon, a shop where you can partake in Inverse Battles, and a Poké Miles exchange stand to name a few. As crammed as these newer features feel being all in one place, it does allow for the rest of Hoenn to be as faithful as possible, for better or for worse. A new system for finding Pokémon makes an appearance in these games, the DexNav. This feature of the PokéNav Plus allows you to scan Pokémon whose tails stick out of the tall grass (or equivalent, depending on environment) and gauge their level, first move, and ability. This can help you pick out the best monster for your party, but the effectiveness of this feature will only be fully realised once you’ve searched and scanned the Pokémon you’re looking for a large number of times, increasing the DexNav’s level for that particular Pokémon. This replaces the Poké Radar from previous titles, and functions in a very similar yet more effective and enjoyable manner. Of course in order to make sure you don’t scare these Pokémon away you’ll have to make use of the new sneaking mechanic. By pushing lightly on the Circle Pad you can creep towards your hapless victim and catch them unawares; if you run or even walk at full speed you’ll scare them off, but that’s not all sneaking does. By sneaking you actively lower your chances of bumping into a wild Pokémon in the grass, so if you’re trying to get back to a Pokémon Centre with a very weak party, you can use this feature to try and (slowly) make it back in one piece. Pokémon Contests reappear as Contest Spectaculars, and largely function in the same manner as they did in the originals. You submit your Pokémon and select moves in order to try and win over the crowd as much as possible, or cause your opponents to falter if they’re getting a bit too big for their boots. They offer a distraction from the main game and allow you to show off your Pokémon in front of an audience, but ultimately the biggest issue is the moves. Each move has its own in-contest effect and type, which are necessary to make the most of if you want to win, but unless you get a separate group of monsters for these contests you’re going to be stuck with the moves you chose for their potency in battle, which may very well not be the best when it comes to a Contest Spectacular. It’s a fun little thing to do on the side, but the excitement is fairly short-lived. Luckily these don’t impede on the main game whatsoever and are entirely optional, so if you’re not interested you can simply walk right by them. You'll also recognise that the Secret Bases have returned, only this time they're referred to as Super Secret Bases. These are basically the same as before, only this time you have the option to download other people's bases through various means such as QR codes. Once you've got a handful of bases at your disposal you can play some fun little mini games with them, such as capture the flag. Like the contests these are a completely optional part of the games, so you can simply ignore them if they're not to your tastes. As far as the battles themselves go, it’s the same affair as in X & Y; the models all look utterly gorgeous, the battle animations are excellent, and the mechanics are intact. There is the addition of the new Mega Evolutions, and whilst these are just as enjoyable as the Mega Evolutions from X & Y, they don’t bring anything particularly new to the table; this is the case in order to allow Omega Ruby & Alpha Sapphire to communicate seamlessly with X & Y. If you are planning to trade or battle with someone on X & Y, you’ll have to adhere to the rules in your opponent’s game, which means you cannot use the new Mega Evolutions or trade Pokémon holding any of the new items. This makes a lot of sense, and it’s good to see that Game Freak has kept the two as compatible as possible. The framerate is still a little bit spotty when bringing in larger monsters – especially with the 3D on – but it’s easily forgiven when seeing just how gorgeous and smooth the Pokémon themselves look on a system as limiting as the 3DS. Without a doubt the most impressive new feature is the new Soar ability, which functions very much like the Fly move that would allow you to instantly jump to towns you'd previously visited – as long as one of your party members had it as one of their four moves; with Soar you actually get to control the flight path from a third-person perspective and see the whole of Hoenn from atop the Latias or Latios you’ve befriended. 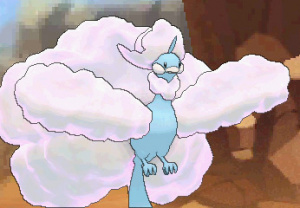 This function is activated by using the Eon Flute item and does not require Latias/Latios to be in your party, as the legendary beast will quite happily swoop down from the sky and pick you up even if it’s in your PC Box. 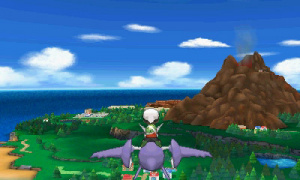 Once you’re on the beast’s back, you’ll activate your Mega Bracelet and shoot off into the sky on the Mega Evolution of your game-specific Legendary Pokémon, accompanied by some absolutely spectacular music as you do so. Soaring renders Fly completely obsolete, as not only can you land in towns and cities, but also any route or landmark that you’ve visited before. It takes longer than simply using Fly, but the additional freedom you’re given coupled with the pure joy you feel when flying over the entire region and the freedom to not have a Pokémon with the move in your party at all times leaves what was arguably the most useful HM largely unnecessary. We can only hope that Game Freak has realised that the HMs are a bit of an outdated nuisance and give players similar items in place of these in future instalments. As far as the post-game is concerned, Ruby and Sapphire were known for having an absolute wealth of extra content that you could access once you’d beaten the main game, and these remakes are no different. All of the old content is thankfully still here, and using the new Soar ability you can access numerous new areas that were previously nothing more than nameless islands on the main map, as well as the ominous ‘Mirage Spots’. We won’t go into too much detail for the sake of spoilers, but suffice to say it’s enough to keep you going for a very long time, and expect to see lots of Legendary Pokémon! 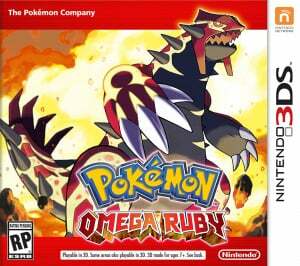 Overall, Pokémon Omega Ruby & Alpha Sapphire seem very similar to Pokémon X & Y, as you might expect, but the story and the environments you encounter feel – despite the fact that they are remakes – very fresh and unique. They’re not an extensive upgrade from their other 3DS counterparts, but any Poké-fan who’s played one of the series remakes in the past knows that expecting an enormous upgrade is a fool’s errand. These titles should be considered as games that belong alongside X & Y, rather than successors. — they've successfully surpassed X & Y, however, by building on the tremendous features available on the 3DS and pushing new ideas such as the Soar ability. Pokémon Omega Ruby and Alpha Sapphire are a must-buy for any Poké-fan, even if you already own X or Y.
I'm just glad that, between these two games and X/Y, we can finally finish the Pokedex in one generation of games. I was a minute ago in Metacritic, looking for reviews for either this or Smash. I'm sorely disappointed the review did not mention the difficulty of the games. X and Y were so pathetic when it came to difficulty. What about this one? Not 10/10? No Frontier confirmed. Nah, I'm kidding. There's still hope. "excellent Pokémon X & Y..." No, it was simply just good at best. But, difficulty? That will turn me off to the replayability factor, if it's like XY... Also the frame rate during hordes, still the same? Didn't the DS games let you use new forms against older games, like a Sky Shaymin against Diamond/Pearl? I might be misremembering, but I thought they'd appear as their old forms but with new stats and such. Assuming that's right, the only reason I can think that isn't the case here is because of the new moves added for the cover legends (I don't think they added new moves between any other games of a gen). These games look kinda disappointing to me. I think I'd enjoy them more than XY, but those are my least favourite Pokémon games, so that's not saying much. I'm going to wait until Christmas to get these because a couple of the new features seem cool and would probably make it worthwhile, but I've got enough of a Poké-fix and it doesn't seem marginally better. @Ninjaboy666 They probably can't because of embargo. But the real question is do the remakes have the Battle Frontier though? IGN said we can expect Smash reviews on the 19th. 9AM US time IIRC. I want to know about the difficulty as well. X was great, but way too easy which made me kind of wary about getting another Pokemon game. I really want a good challenge this time around, where as in X, once I got past the 1st gym leader everything was way to easy. Soar seems like time consuming and frustrating from what I understand from the review. Anyway I also would like to know if the game is super easy, if the Frontier is included and if the extra plot that was advertised is somewhat interesting. Another point is if the game works with Bank at launch, as promised. I cannot wait to pick up my game on Friday.... though it is going to be a tough choice on what to play... this or smash. The game was about as difficult as all the others..... they are all easy... very easy. Is it more the fact that you are finding them easy or that you are getting older and already know the drill when playing them so therefore they are easy by default now? Aww. Lack of 3D and frame rate dips again? Sigh. The difficulty of the games shouldn't be any different. Beating the Pokémon League has never been hard. If you want tough battles, head to the "Battle Facility" of the games. Whether Battle Frontier, Battle Tower, Battle Maison, Battle Resort or whatever, there is where you'll find tough battles against the AI. There's always the online Battle Spot. Play on the Rated Battles and you'll find tough trainers all over the world. At least when Nintendo milk a franchise they do it really well. Haven't played a Pokemon in years but I saw the ad last night and thought it looked really good. If I had the time I'd give it a crack, but if I don't I doubt they'll miss one sale from me among the endless ching of cash registers everywhere. WRONG. 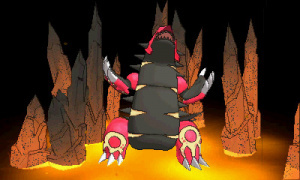 Team Magma wants to advance humans to their full potential at the expense of Pokemon. That needs edited in pronto. So, I haven't properly played a Pokemon game since Red. Half interested in giving this a go, as the demo was quite enjoyable, if limited. lol. Typical Nintendo Life score. Before I even scrolled down to the bottom, I said to myself, "Yep, it's another 9/10 as usual." So that is tomorrow. Thanks a lot. My favourite gen so I'm definitely getting this but I hope Battle Frontier (the best end game content in any Pokemon game) is in otherwise that would be a let down. @gloom They don't want to reveal any spoilers. This pretty much says that the Battle Frontier is in. Buying this later cause of smash. I wish Pokemon had multiple save files. Also Pokemon has always been easy, it's a basic RPG that anyone can pick up and play. Also, it should be mentioned that Hoenn feels more free as it allows more room to run around in without a claustrophobic feel, unlike X and Y with it's restricted confined routes and grid system. Time to relieve this awesome game! Just do a nuzlocke if you're worried about difficulty. If these are remakes of the same quality as the Johto versions on DS, this should be quite the essential purchase. No, that's not how it works. If a game gets easier, it has nothing to do with learning the routine/age that's something else altogether. It's a little disappointing that the character clothing customisation has been removed, though I'm glad to hear the rollerskates are gone. I always wanted to use the Control Pad to move but couldn't move well using the rollerskates. The sneak function seems much more interesting and beneficial. I'm glad to hear that what I loved about the original will still be there; contests, secret bases, the differing teams which made both versions worth purchasing. I am also glad to hear that some of the great features of X and Y such as the Pokémon Amie, and Super Training will be back. Overall Pokémon Ruby and Sapphire are my 2nd favourite entries in the Pokémon series, and my 2nd favourite GBA game of all, so I'm really looking forward to this remake. The only downside is that, with my lack of funds at the time, I had to put it down as a Christmas present so I'll have to wait until then to get to play it. Anyway, awesome review, it did a good job detailing what was new, what was still there, and what was now absent from the previous entry. Still holding out no the battle frontier, but either way I can't wait for these games. Everyone is going on about how the Battle Frontier may or may not be in the game. Let's be real. Only the Battle Tower was in the original Ruby/Sapphire, so adding the Battle Frontier to this series is a bonus. Plus, with all the fan service so far, Game Freak would be letting down millions of fans by not including the Battle Frontier. Couple this with the fact that many people did not enjoy X and Y for one reason or another, and that may just be the straw that broke the camel's back. It could lead to a lot of leaving customers. I can't say whether or not the Battle Frontier is in the game or not, but cor blimey the Battle Frontier is in these games! Battle Frontier was cool. It'd be a shame if it was gone. Wouldn't be a deal-breaker, though. I'll pick this game up in January. What about the EXP Share? @WreckItRyan What about it old sport? Lol, this review is funny. Lol meanwhile IGN gave it a 7.8 for too much water. No trainer customization means no deal for me. Dressing up was one of my favorite parts of X/Y. @MadAngryGamer They weren't even lazy with these. The review is faulty. From what has been leaked, confirmed, and said in more detail in other reviews, the story was tweaked, the overworld feels more free, and it has the best post game. It's the definitive Pokemon game. @AlexOlney I assume he wants to know if the Exp. Share works the same way it did in XY. Is it just me or was XY just a bit bland? I played it all the way through but it felt a bit easy and overall it was a bit mediocre. However, I am looking forward to ORAS so just one more week! Soar is the one reason why I'll consider getting these remakes in the future, because it looks awesome. I was kind of disappointed with X & Y, truth be told - the rollerblade movement felt super awkward, some camera angles were just too annoying, and mega-evolutions have to be the most half-assed major idea I've ever seen from the series. I felt those games were just more of the same for a series that (for me at least) desperately needs good new ideas. This review is so fanboyish. "Any Poké-fan who’s played one of the series remakes in the past knows that expecting an enormous upgrade is a fool’s errand"? Have you ever heard of BW2? He gushes about new ideas but unless they're hiding something we don't know about, that's not true. The only new ideas really are Soaring and the Pokenav Plus, there's not a whole lot of "new" going on here. Meanwhile, they didn't fix the Hoenn Dex, which is terrible by modern standards and is sure to make trudging through these remakes feel repetitive. Based on the information that we know about I certainly would not give these games a 9/10, 7 or 8 feels more appropriate. I don't know if I gonna pick this one, It has "too much water"
Way better than Ign's review. They took off points for "too much water". What are the ONLINE FEATURES?! Third review with no mention. I want co-op online Battle Tower/Mansion/Subway/whatever like SS/HG had. If that isn't a feature, I'm passing on this remake. Why haven't in-game evolutions made it in yet? it happens in the show all the time! I hope, if they do have battle frontier, it goes back to the original way where your pokemon aren't automatically put to lv. 50, I loved the feeling of achievement in gen 3 at getting a lv. 100 to use in battle tower but now it feels kind of pointless when they're just set to 50 anyway. @whiffy5 Too much water is kind of a ridiculous complaint, but as far as the HMs and the general idea that the game's design feels a little dated is pretty valid. The biggest thing that concerns me about this game is how poorly balanced the Hoenn Dex is compared to more recent games, there's not enough options for certain types (as you can see with Phoebe and Glacia's rosters) and the wild distribution gets pretty repetitive. For all of their complaining about Water types, there really isn't enough to go around. Surfing mainly consists of Tentacool and Wingull. The Hoenn Dex in general just feels too big for a 200 Pokemon Dex, some areas only have a handful of Pokemon, some don't have anything unique (Rt. 123 is a good example), and some use Pokemon from the same evolutionary line (thankfully though, Hordes seem to have alleviated this issue). It's hard to really give this game a good score when it feels so lacking, I think a 7 or 8 is appropriate. I just read the review & I give it a 7/10 for giving the game a 9/10. I played the demo & the game is boring. I feel asleep while playing it. But the game deserves a 8/10 . Not 9/10. @kereke12 I give your comment a 9/10. Right on point but I wouldn't say that being "boring" is accurate. They just didn't make enough changes. Good, none of this "too much water" crap that IGN flung. @BensonUii Because IGN can ignore embargoes, being IGN. I must admit, this review seems to have a touch of disappointment about it, I was hoping that Gamefreak would be taking a few liberties with the storyline rather than following it "religiously". Though maybe this will be corrected by the amount of after-story that they seem to be putting in place. As for the Contests... I LOVE, LOVE, LOVE that they have kept the mechanics similar to the originals. Training a team of pokémon with Contest skills instead of battle skills was always a completely different challenge & added a lot of depth to the game for me. It should be even more fun now that anyone can make a fully EV'd 'mon. I bought two copies. I hope this game is the true "3DS Pokémon", X/Y was a major disappointment for me. I didn't even finish it. "You can read our Smash Bros. Wii U Review on Wednesday, November 19 at 9:00 AM PT, 12:00 PM ET, 5:00 PM GMT, and Thursday, November 20 at 4:00 AM AET." I have not encountered reviews from IGN where they release it ahead (ALONE) of other gaming sites like Nintendo Life. Not that I keep track of every reviews and gaming sites. Also I only trust and read Jose Otero's review and so far, they are almost the same as NLife's reviews in terms of assessment and/or scores. IGN reviews are pretty lacking, specially regarding downloadable games. They never reviewed Scram Kitty or Stealth Inc 2, although IGN Italia did, but not their "main" site, where most of their traffic and views go. I love how NL reviews every downloadable game, and I usually trust their reviews. WHAT?! No way, too much water, 7.8/10 for me. Yeah, that's why NLife is my main gaming site now because it's by far the best dedicated Nintendo site I've encountered/visited so far. I only just came back to console gaming a year ago after going full PC after the SNES/Megadrive/PS era. And just like you, I'm still undecided between the PS4 and XOne for my second console. I almost went PS4 last year (I'm really undecided for months) instead of the Wii U. Then I let my kid decide and then I went to cancel my PS4 pre-order. I'm glad I did. PS4 is a disappointment for me this year. I also considered XOne early last year until the "always Kinected" E3 announcement. "Too much water" is a legit criticism IMO. It was a common criticism for Ruby/Sapphire and while remakes should obviously be faithful to the original, they shouldn't be at the expense of fun. Also R/S/E was probably handled HMs the worst, so it's obvious to see how it would be frustrating after B/W and X/Y streamlined that stuff. I have never played a Pokemon game and would like to try one out but not sure how they work... Do I have to buy both Ruby & Sapphire? Do I have to have played older versions? how much data does it take up? @Swiket What could they do to fix it though? Aside from putting in more islands and landmarks, there's really not much they can do to reduce the amount of Surfing short of completely revamping the region. Don't get me wrong, I think the game could use some huge improvements, but I think removing water areas is a step too far. Need more info about capture the flag! Too much water though, that ruins the game for me. Well, I feel that it very much reconfirmed my worries... but at least they didn't ruin Contests - R/S/E contests were the best ones, in my opinion. Though no word on any Pokésnacks. Are Pokéblocks returning? The mixing minigame was quite the fun time-waster. But, I saw it coming, more recycling than rewriting. One extra chapter in the post-game doesn't quite cut it. Removing Fly entirely is one big jerk move, then. At some point, Soar is bound to become boring, and over-forcing it like that is kinda mean and then it's going to be one of those nice, but very impractical things that work more as a marketing push than a truly fun game mechanic. These games sound simply amazing and I will definitely get them in the future! Wii U is my focus right now but as soon as I am done with that one of these games will surely be next on my list! Anyway, won't you guys do the same thing? PureXbox will be doing it. "So, while we will not be taking a stand against embargoes, what I will ensure that we do in the future is to provide information about embargo times. Via our Twitter account and via news stories we will make it clear exactly on what time and date an embargo is due to be lifted, should the embargo be set at a time that we feel could reasonably impede your ability to cancel a digital preorder." Getting this and Smash Wii U on the 21st. So if you're saying the frame rate issue in battle has not been fixed at all I would assume the over word still isn't in stereoscopic 3D. I actually prefer the sprites and ones with animation than the chibi designs because even the most badass villain looks soft as a chibi. To me, they're appalling. It's like the chibi designs are catering to the kids but the sprite design caters all age groups imo. I know Pokemon are now focused on appeasing just kids but there is an older group especially targeted to us since these are remakes of a GBA game and we earn our money to buy their games! @AlexOlney Does it function similarly to the EXP Share we had in X & Y? Reviewer confirms no Battle Frontier but it's hinted to appear later somehow. The thing that bothers me about the water is that it feels so much emptier than land. There isn't anything to do aside from battle trainers and wild Pokémon, with occasional island city and the rare random island. There's no puzzles or hidden items like on land, sans the route west of Pacifidlog, which is optional and doesn't excuse all the other, mostly-empty routes. I don't know if they've added anything more interesting to explore like extra dive spots, but that could've helped without removing water or changing way you move accross the routes. Even if those didn't have extra puzzles, being on water and looking for areas that might have extra items would be more interesting. @Porky I agree, though I love how the 3D battles and some environments look. Most of the characters looked kinda silly when the series was 2D as well, but I think it's a bit more charming and excusable there (and that they did a better job with sprites in general, but that's probably because of experience over time). I am going to cancel because to much water. Oh ign really!? Clearly, IGN is a front for Team Magma. Wake up, sheeple! Any-old-way. When GameFreak puts out a Pokemon remake, it's like GramGram baking you a cake she made from an instant mix. Sure, it may not have been made from scratch, but there was still plenty of effort put into it (what with her arthritis and such), and it's still going to be decently enjoyable, and you love your GramGram dearly, so you're inevitably going to end up breaking your gluten-free diet elimination diet and cram that piping hot plate of freshly baked nostalgia into your cake receptacle where it belongs. It's like that, but with video games. Good review. Can't wait to play this. I like water so I will still give this a try After all, I loved Sapphire. @AlexOlney @WreckItRyan Oh man, that means this game's difficulty is as laughable as X/Y's :/. @Porky Why not just turn it off? I stopped using it after a while. Gen 1 remakes ~ FRLG didn't bother to add the a feature where Pikachu follows you around like it did in Yellow version, maybe cause Yellow version was following what happens in the anime itself. Gen 2 remakes ~ HG/SS suddenly adds in the feature where pokemon can follow the trainer around. Gen 3 remakes ~ Just like how Emerald had the Battle Frontier and it was carried on into Gen 4 DP Pt games. Somehow OrAs has a chance of also adapting it into. I hope you know what I just said, sorry if your confused a bit. Please can the Battle Frontier return... I've seen no mention of it yet. @DanteSolablood hehheh, gotta look at other sites sometimes too. @LtAldoRaine Because about everyone else are easily gaining their pokemon party levels and I wouldn't want to be left behind. If it's available I'm not going to restrict myself using it lol. @PokeMarioR That can be a vaild point because you're just surfing in open waters which can get boring. I'd prefer land with areas and puzzles or what they should done was add hidden dive spots or throughout most of Honenn's waters. @nessisonett Nope you're not the only one. For me X and Y are the weakest entries for me. After beating the game and side quests there is really nothing fun to do and the region just felt small and weird for me. Hopefully OR and AS are more bigger and have more extras, I don't doubt it tho. @hngdmn "The entire series has pathetic difficulty, I don't know why you're expecting this to be any different..."
That's unless you try out the Mods such as Pokemon Crystal Kaizo, Expert Emerald, and Perfect Platinum Challenger Edition! @AbuJaffer That's not something new in Pokémon generations. 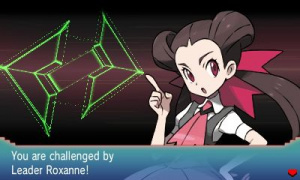 it was only a matter of time before Pokémon Ruby and Sapphire got a remake of their own. I'm definitely putting this one on my wish list.